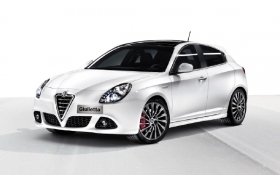 Alfa's Giulietta compact hatchback, which went on sale in Europe in June, will launch in North America in 2014. Sergio Marchionne, CEO of Fiat and Chrysler Group, has ambitious plans for Alfa Romeo's full return to the United States, a move that has been anticipated — and delayed — since 2000, when Fiat and General Motors signed an ill-fated joint venture. Marchionne wants to transform Alfa into a “full-line premium carmaker.” In April, he said Alfa would return to the United States in late 2012. In the past two years, Alfa sold about 100 vehicles in the United States at Maserati dealerships. MiTo: In 2013, Alfa will re-engineer its three-door MiTo subcompact, adding a five-door version. Only the five-door will be imported to North America from Italy. Giulietta: Alfa's compact hatchback, which went on sale in Europe in June, will launch in North America when it is refreshed in 2014. The Giulietta is the first vehicle on Fiat's new Compact platform. Chrysler, Dodge and Jeep models, as well as bigger Alfas, will use a wider version of the platform called Compact Wide. Giulia: Alfa plans a full-fledged return to North America in late 2012 with the mid-sized Giulia sedan and wagon, which replace the Europe-only 159 sedan and wagon models. The Giulias, which are based on the Compact Wide platform, will have transverse engines and front- or all-wheel drive. Giulias for North America will be powered by a beefier version of Chrysler's new Pentastar V-6 engine and by a 2.4-liter I4 with Fiat's MultiAir technology delivering 190 hp. Convertible: Alfa is considering a two-seat roadster to go into production in 2013. The company has yet to choose a platform and factory for the car. One option is Chrysler's LX rear-drive platform, used for the Chrysler 300, and the Brampton, Ontario, assembly plant. Mid-sized SUV: In 2014 Chrysler will begin producing an SUV for Alfa based on the replacement for the Jeep Liberty, a model due in 2013 and based on the Compact Wide platform. Alfa will export this SUV from the United States to Europe.